« Fighting Evil Corp. There’s an App For That! Watching Rubio makes them thirsty and listening to Jeb Bush makes them sad. But Trump can be treated as both ridiculous AND serious which meets both tabloids and “Very Serious People” needs in the media . It actually wasn’t that big of a stretch. Something for the Minutemen on the border in Texas to get pumped up about then for the real audience, the media, talk about global economic manufacturing and monetary policy. 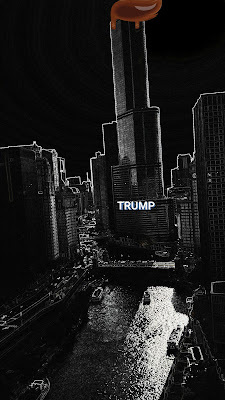 Trump can say wacky and racist things and the other candidates can distance themselves from him to seem more moderate. Now readers of this site know all this. Insiders know all this. But what I found interesting was actually watching the fake hand wringing about how “Trump is going to damage the Republican Party!” and hurt its brand. Ha! As if. Thanks to The Odious David Brooks™ you can hear first hand how Trump is saving the party, and how he will help the candidate who gets through to the main election to seem more palatable to the rest of the country. Watch as how Brooks distances himself from Trump‘s comments as well as list the others who did. As Marc said, the useful thing about what’s happened is that we have seen this fissure in the Republican Party, where Jeb Bush came out very strongly against Trump, saying he takes it personally, Rubio again very strongly. DJ Dionne called out that the other GOP candidates for not distancing themselves from Trump after his racist remarks. Exactly, because they did the political equivalent of licking their finger and putting it in the air. Right then I knew that Trump will stay in long enough to allow all the other Candidates to separate themselves from his worst remarks. They can choose how to ‘formulate” their response depending on who they want to appeal to when. People like Brooks will just point to the denouncements, not the speed or the vehemence of the denouncements. That’s the meta-data that tells you more than just the words. Hearing, “We don’t think all Mexican’s are rapists.” from others right away is different from two days later. (BTW, fun word emphasis exercise. Read the quote above with a different emphasis on each word in turn. Note how the intent of the statement changes each time you read it.) This is what you lose with Twitter. So, somber faced Judy Woodruff goes on to ask The Odious David Brooks™ how Trump could hurt the party’s brand. – Pat Paulsen for President Supporter’s slogan. 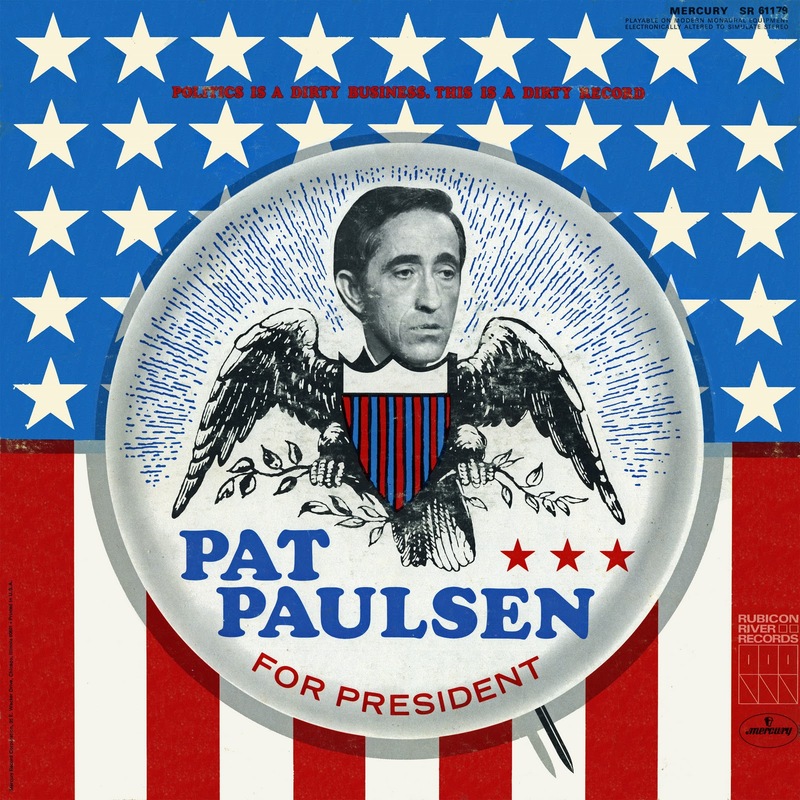 Imagine if the media back in the 1960’s took Pat Paulsen serious as a candidate? Marijuana should be licensed and kept out of the hands of teenagers. It’s too good for them. He even had thoughts on the rights of criminals and murders that is hot today. Paulsen being dead doesn’t mean we have to take him any less seriously than Donald Trump being alive and orange. The Meet the Press discussion, with a propped up corpse of Paulson, would break just as much news as Chuck Todd’s interviews with Jeb Bush. The MSM media don’t want to call a clown a clown. They love Trump because he’s fun to write about. Even though he has no chance of winning, they get to use him to help other radical RWs seem less bizarrely out of touch. Unlike Trump and other GOP candidates, Paulsen could also be honest at the deepest level. His campaign slogan was sheer elegance in its simplicity.